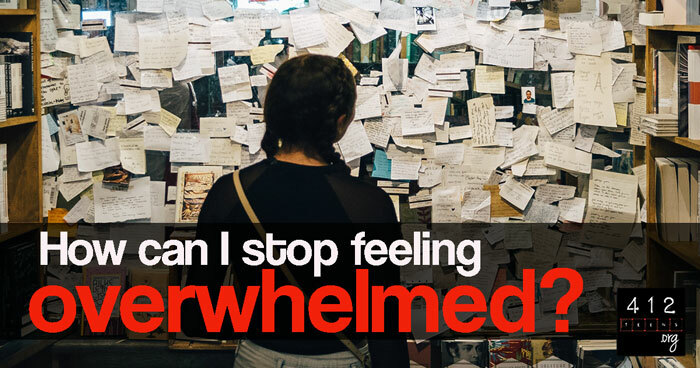 How can I overcome feelings of being overwhelmed? Feeling overwhelmed happens. Whether we’ve taken on too many responsibilities for work, school, friends, or family or we're in a situation outside our control, like sickness or trauma, it's perfectly normal to feel overwhelmed. Pressure from temptations, jobs, school, friends, family, and even our own goals and expectations can pile up and seem unmanageable. The Bible gives us a model for how to prevent the negative consequences of stress and worry as well as wonderful encouragement and insight into what to do when we feel overwhelmed, anxious, and stressed. Throughout Bible, we see many examples of people who endured great stress and overwhelming circumstances. David, Daniel, and even Jesus experienced difficult times and stressful situations. What did they do? They called on God to hear their cries and trusted He understood their struggles (Exodus 3:7: Psalm 34:17). The Gospels teach us how Jesus was able to prevent stress from building up and handled difficult situations with grace and peace. Jesus had a very public ministry and was constantly surrounded by people. Can you imagine the pressure of so many people wanting your attention? Some of these people just wanted to listen to His wisdom, others needed His healing, and still others in the crowd were there to judge and ridicule Him. With all this pressure and scrutiny, it was vital that Jesus took time to get away from the large crowds and sometimes even away from the disciples, who were His closest friends (Mark 1:35). Having this time away to rest and focus and talk to God without any distractions was necessary for Jesus's own well-being and ministry. Finding that space to rest allowed Him to keep teaching, healing, and guiding people day to day. Knowing when to rest was also an important lesson He taught His disciples. He led by example, ensuring that His friends also took time away from the crowds (Mark 6:31). These examples still apply to us today, encouraging us to evaluate ourselves and how we spend our time. Being willing to step back from our responsibilities, our projects, and even other people, to take care of ourselves and rest, will help us serve better, more lovingly, and with more enthusiasm later. ALSO SEE: Is it OK to practice self-care? Sometimes, even when doing our best to take care of ourselves to prevent stress, anxiety still weighs heavy and our troubles seem unmanageable. It's easy to allow the worry to creep in and become overwhelmed, losing sight of God’s truth. Even though Jesus knew the coming events were part of His Father’s plan of redemption, the path ahead of Him, the suffering, and His eventual death, must have been utterly overwhelming. But instead of giving up or allowing fear to cripple Him, He did the following: He was honest about His feelings to both Himself and His Father, He sought help from His friends, and He prayed. These are valuable things that we, too, can do in times when we feel helpless and alone. Putting on a brave face and trying to push through hard times or ignoring or suppressing the fears and stress is NOT helpful—not for us or those around us. Being honest with the Lord and bringing our concerns to Him is important. He wants to hear from His children and help sustain them through difficult times (Zephaniah 3:17). When everything feels out of control, we can be assured that He's not surprised by anything and that He's always in control (Psalm 34:19; 46:1; Deuteronomy 31:6). Ours is a God of peace, and He wants us to grow in peace, cultivating that fruit of the Spirit as we grow in relationship with Him (John 14:27; Romans 15:33; 1 Corinthians 14:33). Bringing in the support of community is important when we feel overwhelmed— just like Jesus did with His disciples before He was betrayed and like Daniel when he and his friends were facing the wrath of an angry king (Daniel 2:16-18). A solid, Christ-centered community who is willing to come alongside you in times of trouble can make a huge difference in facing those overwhelming situations. God will often use other people to speak truth and bring comfort and peace into our lives (Colossians 3:17; 1 Thessalonians 5:11). Be honest with yourself and take time to find space and rest when life begins to get chaotic and stressful to ensure you stay healthy. Take a step back if needed. Find your support system and ask friends and family to pray for you. Bring every concern to the Lord, asking for His peace, wisdom and guidance in dealing with stressful times. Remember these words of David, who faced many difficult situations and knew what it meant to feel overwhelmed: “When my heart is overwhelmed; lead me to the rock that is higher than I. For You have been a shelter for me, a strong tower from my enemy" (Psalm 61:2-3). Being overwhelmed is completely normal. When life begins to get chaotic and stressful, be honest with yourself about your feelings and needs. Take time to find space and rest to ensure you stay healthy. Take a step back from people or the situation if needed. Find your support system, and ask friends and family to pray for you. Bring every concern to the Lord, asking for His peace, wisdom and guidance in dealing with stressful times. Psalm 61:2-3 says, “When my heart is overwhelmed; lead me to the rock that is higher than I. For You have been a shelter for me, a strong tower from my enemy." 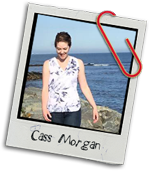 Cass is a small-town girl with a big heart for adventure. She’s lived in three states and loves to travel with her husband. They hope to get involved in missions—locally and overseas. Her current obsessions are Harry Potter, restoring old homes, and pumpkin spice. Faith, family, and friends are her greatest treasures, and she'll never pass up an opportunity to grab coffee or spend time with loved ones. When she’s not working, exploring, or with people she loves, she enjoys reading a good book, drinking French press coffee, and watching British television shows.